Over this past year, I have been on a quest to find modern Christmas music that appealed to my video game music tastes. It’s easy to find bog standard renditions of traditional holiday favorites performed by modern alterna-rock musicians, but finding anything resembling videogame holiday music was proving to be more difficult than anticipated. Thankfully, my tireless googling lead me across the path of Philadelphia-based chiptune artist Doctor Octoroc’s 8-Bit Jesus, a svelte album which promised to deliver exactly what I was looking for: chiptune holiday music. As this was the album which helped launch his career, and the Philadelphia chip scene, into Internet notoriety, I was extremely excited to give it a formal review. 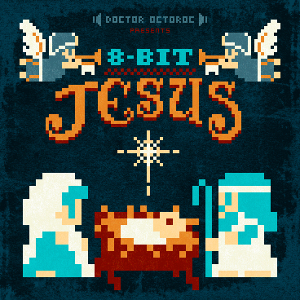 8-Bit Jesus stands out as an excellent album because it doesn’t contain simple chiptune covers Christmas carols. 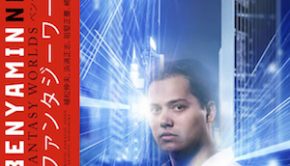 Rather, it features innovative remixes of well-known classic NES themes with some of the most familiar and traditional Christmas songs. With an expert ear, towering skill, and an exacting attention to detail, Doctor Octoroc arranges each familiar Christmas carol with some of the most popular music from gaming’s classical age. By way of example, “Kraid, Rest Ye Merry Mother Brain” takes God Rest Ye Merry Gentleman and remixes it with Hirokazu Tanaka’s famous “Kraid’s Lair” from the original Metroid. 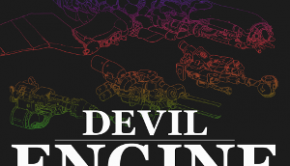 The end result is a track that sounds like a Christmas Carol that you would hear on the planet Zebes and Christmas carol written for, and by, a diehard gamer. With so many classic franchises tracing their routes back to the 8-bit NES, modern gamers should have no problem gravitating towards standouts like “The Legend of Noel”, “Have Yourself a Final Little Fantasy”, and “Super Jingle Brothers”, and with good reason, as they are three of the strongest tracks on the album. The synthesized snare drum behind The Legend of Zelda‘s Overworld Theme sounds as good backing “The Legend of Noel” as it did back when you fired up the gold cartridge in 1986. “Have Yourself a Final Little Fantasy” combines a few themes from the original Final Fantasy‘s soundtrack, with the Main Theme, Overworld Theme, and Victory Fanfare all making strategic appearances to keep the melody coherent. 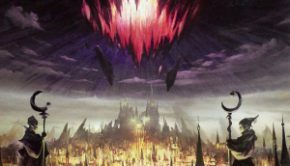 The absolutely amazing arrangement of “Carol of the Belmonts” will make any fan of videogame music happy, and will transport veteran gamers back to the courtyard outside of Dracula’s Castle with its faithful reproduction of its original theme. More obscure titles from the halcyon days of 8-bit gaming may confuse younger gamers but coax wry smiles from the old guard of Nintendo fanboys. “Icarus! The Angels Sing” is a completely flawless, jaunty remix of a Christmas standard with a lilting title theme that might have been forgotten by all but the most devout NES enthusiasts. The same can be said for the unabashedly chipper “Bubbles We Have Heard On Bobble” and its bright pacing, although the high-pitched register may grate on the ears of the more casual chiptune listener. Doctor Octoroc earns points for this, however, as it captures the feel of the original track perfectly. The album does have a few missteps, particularly in the areas of melodies. Although a great chip mix in its own right, the syncopation on “We Wish You A Merry Faxanadu” seems a bit contrived at points and the familiar melody struggles to be heard under the stylistic choices. “Silent Knight Man” may confuse listeners until it’s halfway over and the familiar refrain can be discerned, although they’ll probably be too busy rocking out to the Mega Man styled beats to notice. And while I enjoyed the slightly oversampled “Little Drummer Nemo”, I couldn’t help but wonder if the strong snare behind “Joy to Commando” would have made it a better choice for a Little Drummer Boy remix. While the album is available digitally, it’s worth noting that the physical release includes a bonus track mixing “Let it Snow” with Doki Doki Panic. With 20 tracks with a combined total playtime of roughly 22 minutes, one can be forgiven for thinking that 8-bit Jesus might be a bit too anemic to stand on its own. 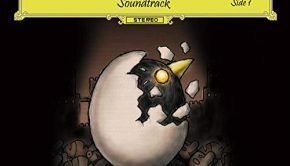 While this is partially true — the album, by way of contrast, is about as long as Final Fantasy VI‘s “Ending Theme” track — the masterful skill with which Doctor Octoroc mixes traditional carols with chiptune arrangements that perfectly capture the feel of 8-bit NES games makes this a great addition to any chiptune fan’s library. Mix it in with your other Christmas music to spice up your holiday playlists, or enjoy it straight — either way, you’ll be celebrating the holidays in the new old school fashioned way. Posted on August 1, 2012 by Matt Diener. Last modified on January 18, 2016.